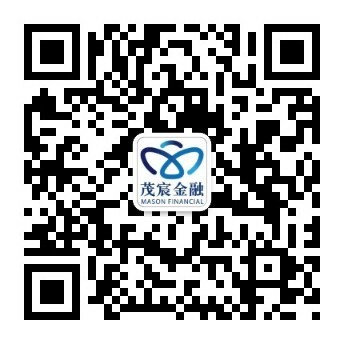 1.This promotion is only applicable to clients of Mason Securities Limited (Mason Securities). 2.The promotion period is from 15 Apr 2019 until 30 Sep 2019 (Both dates inclusive). 3.New clients should not have cancelled or held any individual account with Mason Securities in the past 12 months. 4.During the promotion period, new clients who have successfully executed buy and/or sell transactions of US stocks via online trading platform can enjoy unlimited brokerage commission waiver for the first 3 calendar months (Including the month of successfully opened account and the following 2 calendar months, refer to as “Free brokerage period”). Clients have to first settle the commission amount and the total amount of waived commission will be credited to clients’ account automatically within 60 days after free brokerage period. 5.The commission waiver offer does not include the relevant transaction levy. 6.After free brokerage period, the commission rate of US stocks online trading is 0.15% of transaction amount and the minimum charge is USD 8 per trade. 7.During the promotion period, new clients who have successfully opened US stocks online trading account or existing clients who have successfully executed 1 trade via US stocks online trading platform, will receive 1 share of gold ETF* which is listed on NYSE Arca. 8. *Gold ETF refers to iShares Gold Trust ETF (Stock Code: IAU), SPDR Gold MiniShares ETF (Stock Code: GLDM), VanEck Merk Gold Trust ETF (Stock Code: OUNZ) and Perth Mint Physical Gold ETF (Stock Code: AAAU). Mason Securities reserves all the right to credit one of the above-mentioned 1 unit of gold ETF to clients’ account without prior notice. 9.1 share of gold ETF is only applicable to qualified investors. Qualified investors refer to the clients who declared they are fully aware of the risks related to trading of complex products. 10.This promotion cannot be used in conjunction with any other promotions. 11.Clients who are employees of Mason Securities Limited, Mason Group Holdings Limited and its subsidiaries are not eligible for the promotion. 12.Mason Securities Limited reverses the right to change the terms and conditions of the promotion at any time without prior notice. 13.Should any dispute arise, the decision of Mason Securities Limited shall be final and conclusive. 14.Should there be any enquiries regarding the promotion, please contact your Account Executive or Customer Services Hotline: (852) 2218 2818. 15.In case of any discrepancies between the English and Chinese versions, the English version shall prevail.